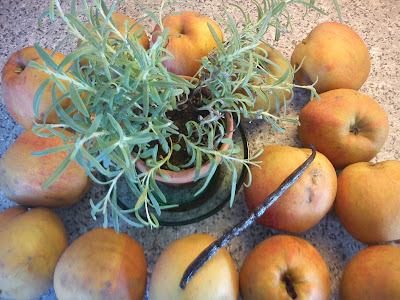 As a finishing touch to my theme of September I have been making apple curd using this recipe. I decided to use the entire apple mash for this curd. This apple curd could the a great touch to these apple walnut scones. Cook the apple, lemon juice and water, until the apples are soft. Blend the apple, lemon juice and water into a homogeneous mass. Prepare the storage glasses by adding boiling water to them. Add in the sugar, butter and egg mass to the apple mash. Continue to stir and heat up the apple curd to 80'C, so the eggs does not curdled. Pour the apple curd into the storage glasses. Store the apple curd cold. 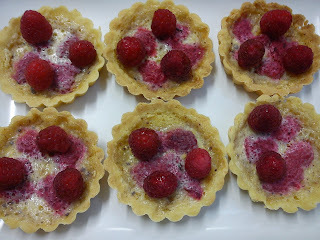 I start the sharing of the first recipe from the Afternoon Tea course, which I participated in end of August. At first I was a little certain about the entire butter amount into these scones, however making calculation after my return home, I have seen, that the butter content is in the higher end as demanded by people working within the dairy area. 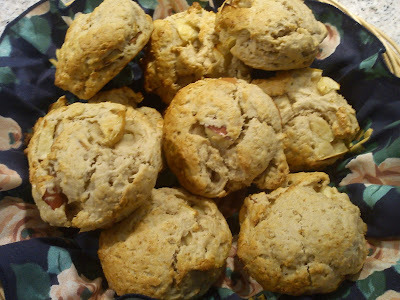 I have this recipe as inspiration for these apple walnut scones. 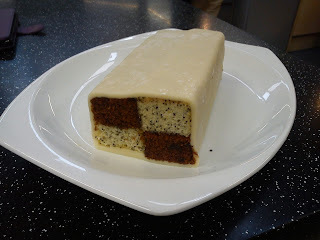 I used a plain eating knife to stir everything together into a homogeneous mass using the advise of one of the course participants, which I meet at the afternoon tea course. Add all the dry ingredients into a mixing bowl. Add the milk, apple and walnuts. Combine it into a homogeneous looking mass using a eating knife. Leave it to rest for 10-15 minutes. Press the scone dough into a height of 3-4 cm. Use a small cutter or glass to cut out the scones, which is placed on a baking tray covered with baking paper. Glaze the scones with milk or whipped egg. Bake at 200'C for 12-15 minutes. Cold down on a baking rack. It has been on my wish list for quiet some years to make my own sloe gin, but until last week-end the birds had been eating all the sloe berries, beofore I found a sloe tree. However, last week-end I found plenty of sloe, so now I can make my own sloe gin. I have placed the sloe berries for a week in the freezer to increase the sweetness of the berries. And I de-frosted the berries night over in the refrigerator, before mixing gin and sloe together. I ma happy, that we picked more than just 20 sloes, which one of the fellow pickers mentioned last week-end, as most of the English recipes on sloe gin uses around 500 g sloe. 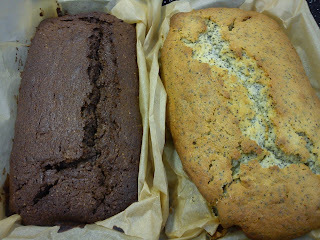 I have used a combination of these two recipes on sloe gin (Jamie Oliver sloe gin recipe and BBC Good Food sloe gin). 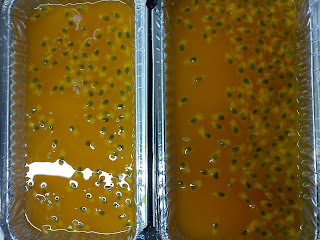 I decided to add only 2 tablespoons of sugar as starting point, when after the infusing step I can add sugar syrup to the the preferred sweetness level. 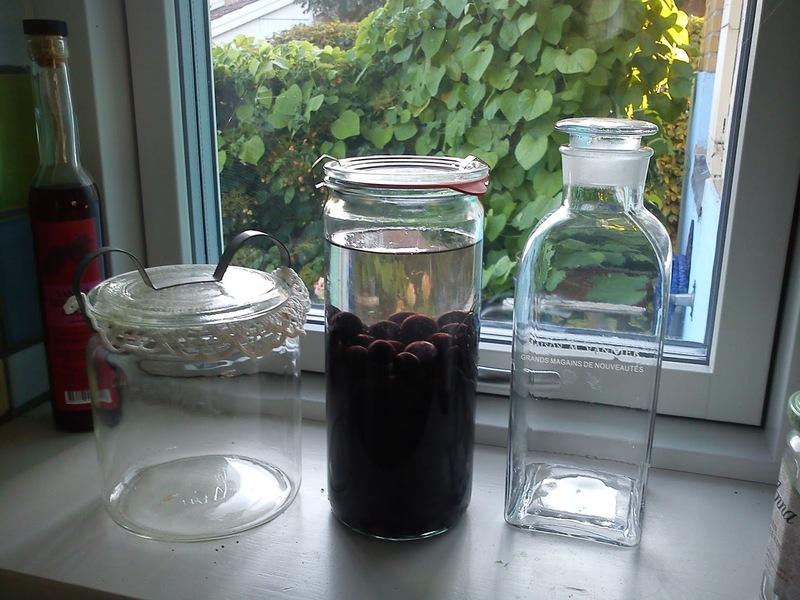 Do not use a cheap gin for making your own sloe gin. 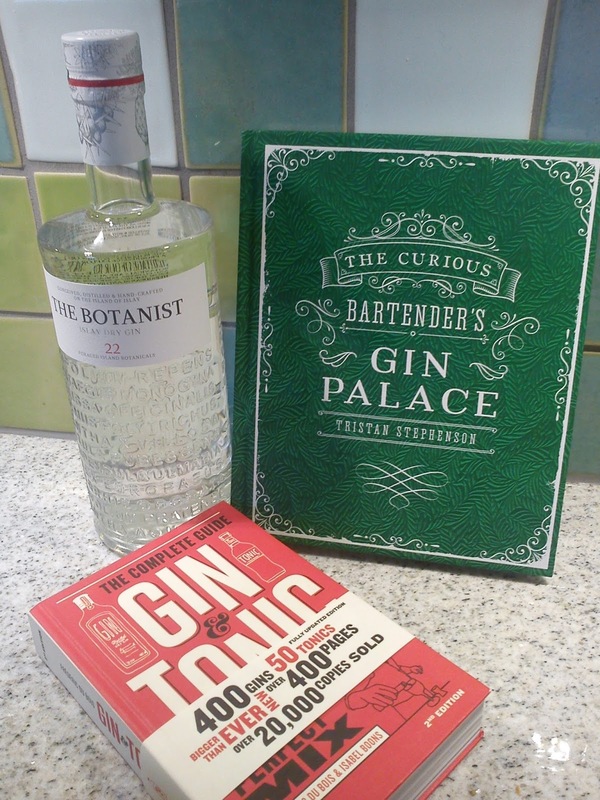 Cheap gin will make less good sloe gin, so spend some extra money on buying a better gin quality. Start by adding boiling water to the storage glass, leave the water in the glass for 5 minutes. Fill in the sloe berries and sugar. Afterwards pour in the gin. Give the glass a good shake. Store the glass away from sun light. Give the glass a shake every day for the first week. Afterwards give the glass a shake like once every week. Let the sloe infuse the gin for 2 month. Remove the sloe berries after 2 months infusing. Taste the sloe gin and add in extra sugar syrup for a more sweet taste. Sieve the gin through a coffee filter into a clean bottle. During my third (and last) Summer vacation this year I spend a few days at Women Institute at Denman on a cooking course with the topic of afternoon teas. The atmosphere was just great :-) All I meet of the other participants were very open and very friendly, they really wanted to meet new people. Upon arrival I got a the "usual" cup of tea served in the living area of the old house and here I found a seat in a chair. It did not take long, before a bigger group of people sitting in sofa area included me in their group and their talk. This were people going to join two starting courses incl. 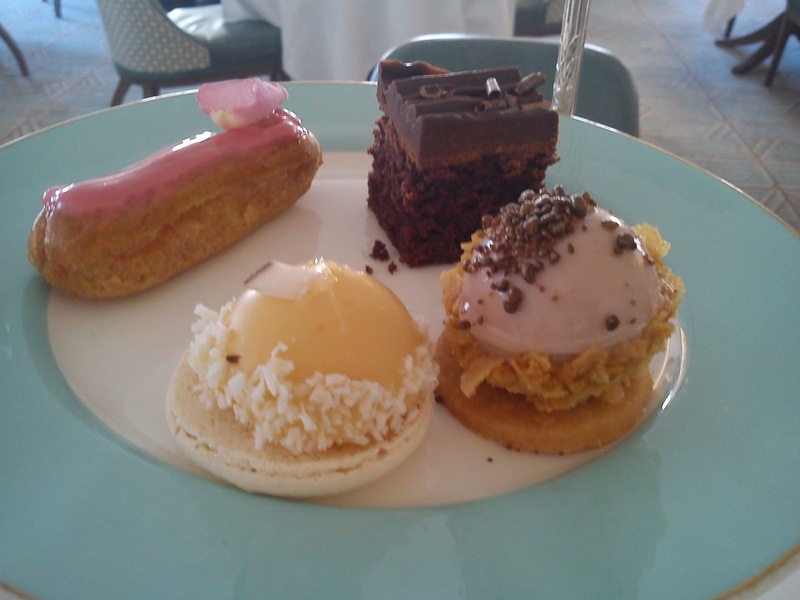 the afternoon tea course. 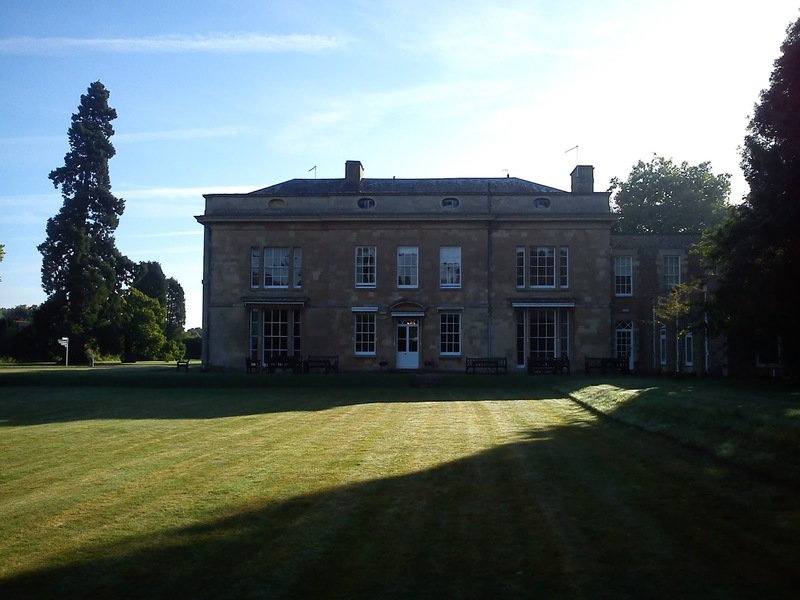 In the course price is included staying in a room, all meals, tea breaks, tuition and final all the baked goods, which you bake during the stay. So I do not find it to be a very expensive course. I have already signed up for a course in November 2017 with focus Christmas afternoon tea, as you get 10% discount, if you book 7 days of your last course. All the other participants felt sorry for me, as I could not bring any of my creation back home with me. 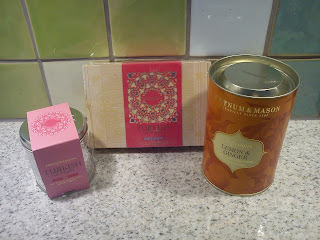 However, my suitcase was already filled up with all my shopping done in London. The tutor was Katie Johnson, who was good at explaining the recipes and difficult step beforehand our own baking attempt combined with a nice way of getting the various work stations during our cooking giving an extra hand and explaining. The traditional sandwiches were all twisted both with regards to bread and serving way, as they were served as open sandwiched so in line with the classic open Danish rye bread sandwiches (smørrebrød). 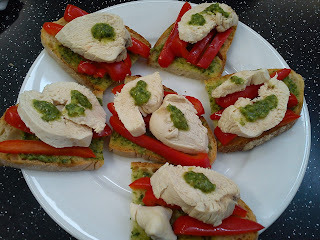 Above is poached chicken, roasted red pepper and pesto on sourdough. 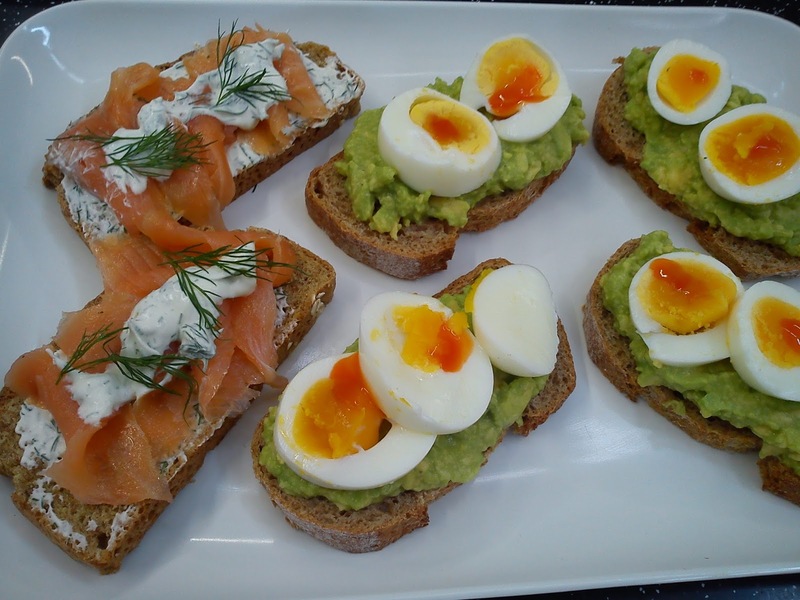 Sandwich with smoked salmon, creme fraiche, dill and black pepper on soda bread together with avocado and egg on wholemeal bread. Creme Brulee Tart, which failed for me due to to dry/crystallized clotted cream. Afterward I found out, that he clotted cream contains 62% fat, so a version with dairy whipping cream with a more normal fat content of 38%, will be what I use myself in my own little kitchen. White chocolate panna cotta with passion fruit jelly as top layer. Plain classic scones with a OK high fat content. 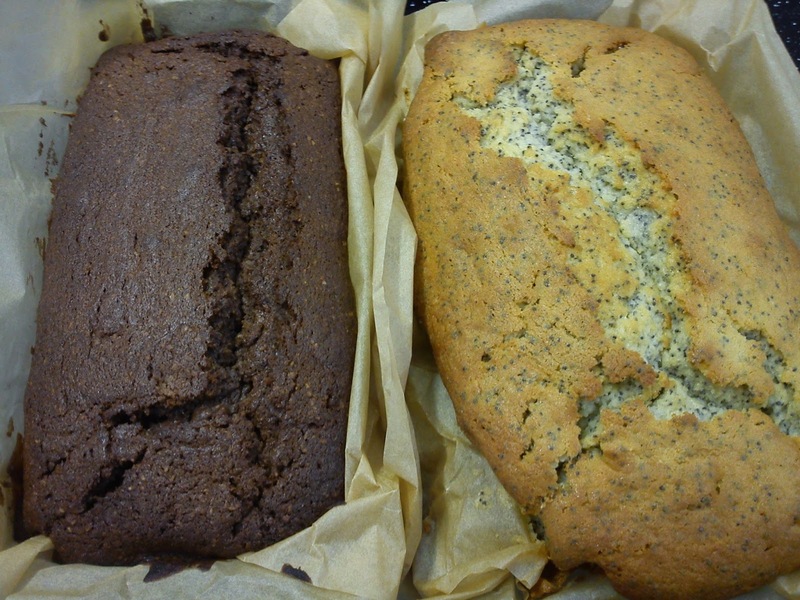 Lemon poppy seed cake and chocolate cake, before the cutting and cutting and turning them into the final Battenburg. 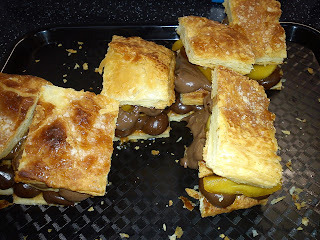 Great looking chocolate and hazelnut mille feuille made by the teacher. 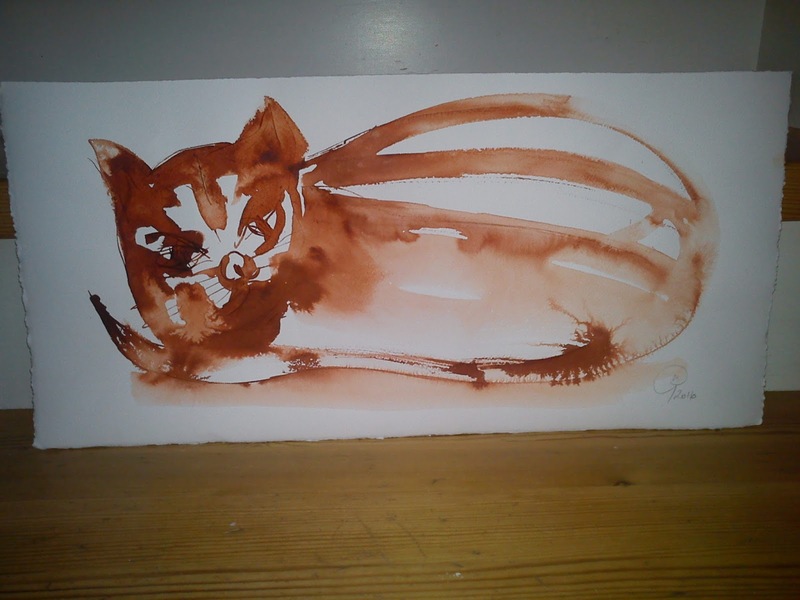 I wonder how my version will turn out ? Finally I have located and picked sloe berries, which has been on my wish list for the last couple of years. I located this sloe berries in connection with a small walk to Træskohage Fyr after the Sunday afternoon coffee at Hotel Vejlefjord. I has always been too late, when I have located sloe in Autumn, so the birds have found the sloe berries, before I came around. However, this year I beat the birds !!! I was not prepared at all for finding these sloe berries, so I had no idea about the volumes, which I need to pick. Together with my fellow rowers I picked ½ l sloe berries, before one of the rowers mentioned, that I only needed around 20 sloe berries to make sloe gin !!! Having check the internet you need around 500 g sloe for 1 l of gin. After cleaning the sloe I have placed them in the freezer, where they await the next step, which actually to make the sloe gin. Last Sunday we were a group of rower from Vejle Roklub, who meet in our local rowing club at noon for a special rowing tour. The plan was to row from Vejle to Hotel Vejlefjord in order to enjoy their Sunday coffee, a distance of 14 km out and 14 km back. However, the wind was coming from East and was quiet strong, so after 1 hours row we had managed to row 5 km instead of the ususal 7-8 km. Therefore we returned to the rowing club and decided to drive out to Hotel VejleFjord. 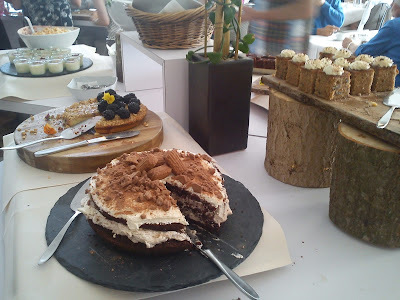 The Sunday coffee cost 115 kr/person and included all the cake, which you can eat and all the coffee, which you can drink. And there is plenty of different cakes to eat. So this is sort of big value for your money. 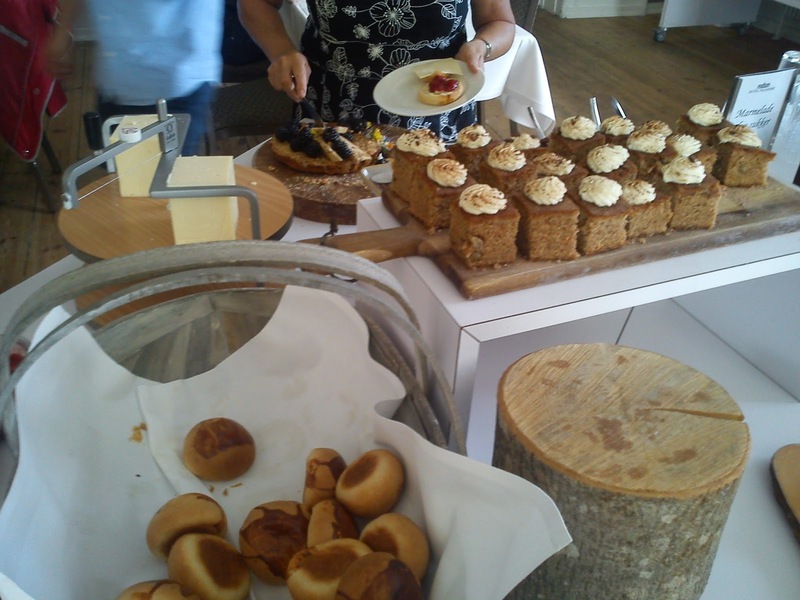 The cake buffet looks great as starting point, the big BUT from my point of view is, that the cakes served were quiet similar to the baking pan cakes (brandepandekager), which you can bake yourself. The cakes tasted good, but I as missing the extra taste touch, so I did not go away with any inspiration for my own baking. I was also missing the grand cakes with different layers of mousse and cake cream and fantastic decoration. The cakes could have been small pastries cakes. So I left with a plain impression, nothing was wrong, but I had expected something more grand in look and taste. In connection with my Summer vacation in London I decided, that I would enjoy afternoon tea at Fortnum and Mason, before going to the afternoon tea course, so I knew how a classic afternoon tea session should look and taste like. When I first saw the cake stand I felt, that it look of nothing. The waiter kept mentioning, that if I wanted more, I should just ask and they would bring more sandwiches, scones etc. At the end I was completely full in my stomach without asking for extra supplies. 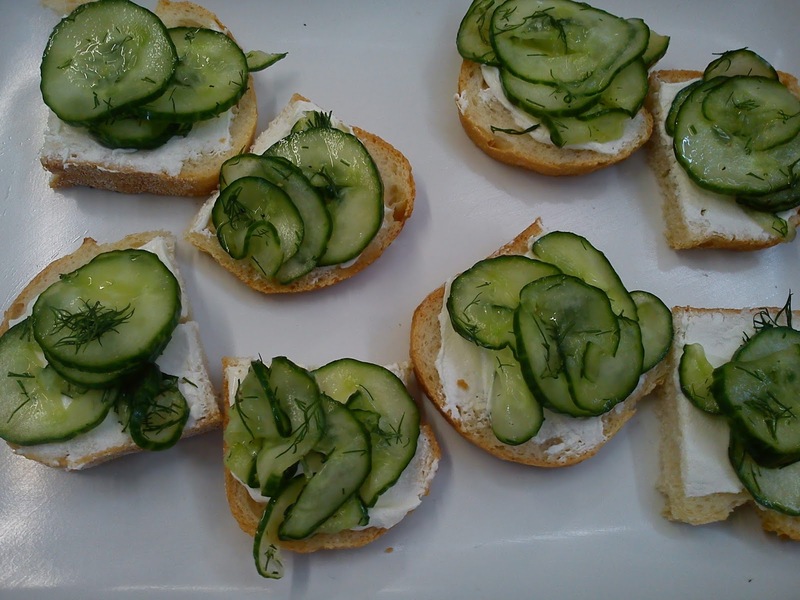 all in all the sandwiches are quiet standard in taste with some fancy description, so more air than taste. The two scones (plain and fruit version) was served with clotted cream and a completely untouched jam of strawberry jam and blueberry jam. This was quiet lavishing with two times 75 g of jam. I actually consider to bring the unused jam with me, but my suitcase was quiet full at this time. I was not served any lemon curd. The four smaller individual patesserie were great both visual and in taste. A small piece of chocolate cake with chocolate top layer. Choux pastry with raspberry flavoured filling and red icing top. Macarron bottom with tropical filling covered by gelled decorated with coconut flakes. Short bread as bottom layer berry flavoured cream decorated with chocolate flakes and small corn flakes. The patisserie taste was perfect in my opinion with the look, decoration details combined with some great taste and texture differences. After this cake stand you can still ask for one or more slices cake from the cake table, here I got a slice of a great tasting carrot cake, which contained sucat, which is actually quiet unusual. So instead of spending money on lunch I decided to pay 50 £ for this afternoon tea. It was very stylish and the service was great, so I will give this dining experience a total of 4 stars. The minus is, that there is added a service charge of 12.5% on top of 44 £ stated in the menu card. In my opinion, why not put the real price instead of surprising people, when they get the receipt with an extra 12.5% on top ? I found this recipe on the Sæson homepage (koldhævede æbleboller), which fitted perfect into my September theme with focus on apples, while I add the same time could bake buns to bring with me on my evening rowing tours. I made a small modification to the original recipe, as I reduced the yeast level from 10 g to 5 g and included 50 g sour dough. These buns are just as easy to make and bake as the cooking pot bread, and they involves no handling of the dough with your hands. Add yeast, sour dough and water into a large mixing bowl. Stir everything together. Afterwards add in the honey, salt, grated apple and grahamsflour, and stir again. Add in the wheat flour little by little, while you continue to stir the dough. Cover the mixing bowl with a lid and place it cold the night over (or 8 hours). Heat up the fan oven to 215'C. Cover the baking trays with baking paper. Use two tablespoons to place the dough as buns on the baking tray. 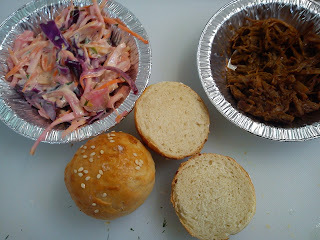 After each bun dip the tablespoons into cold water. This makes it very easy to take out a new piece of the bun dough. Let the buns raise for 30 minutes. Glaze the buns with whipped egg. Bake the buns at 215'C in the fan oven for 20 minutes. After baking cool down the buns on a rack. I found this recipe on carrot casserole in the weekly magazine Søndag (issue 35/2016), where I made a few modifications in form of less meat, more vegetables and addition of an apple in line with my September theme of apple. My mother found the taste a little to the strong side, and perhaps that some the vegetable a little to the less cooked side., but do as you like. I like my vegetable still to have a bite to them. Fry the chicken pieces in hot oil in a bog cooking pot for approx 5 minutes. Roast the curry in the cooking pot. Add in the grated carrots and coconut milk, bring it to the boil. 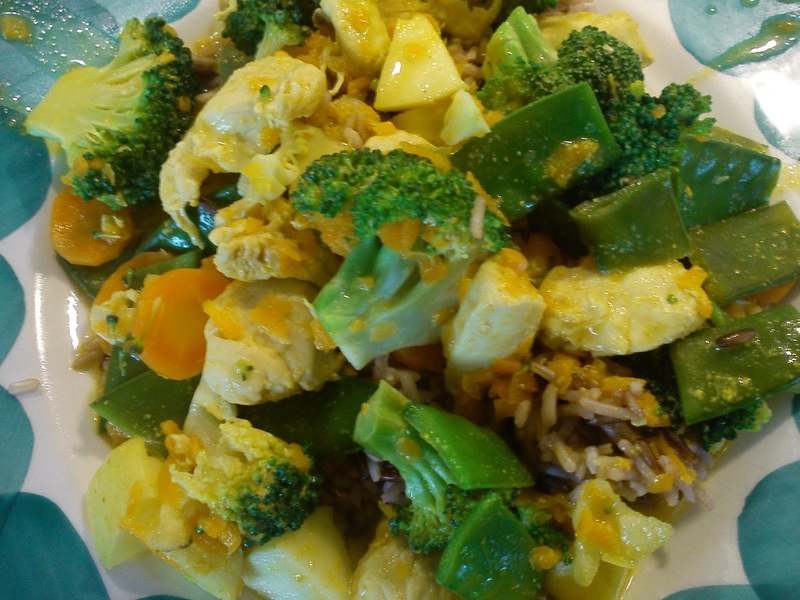 Blend the coconut and carrots into a sauce, which afterwards is seasoned with salt & pepper. Add in the chicken pieces, carrots slices, sugar peas, apple diced and broccoli bouquets. Let everything cook gently for 5 minutes under lid. 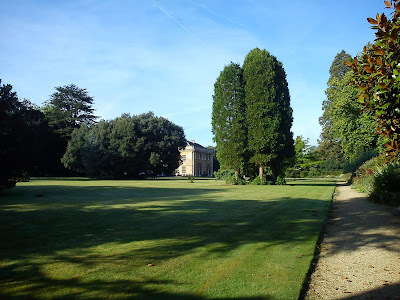 During my third Summer vacation this year I went to England in connection with participation in an afternoon tea course at Women Institute. 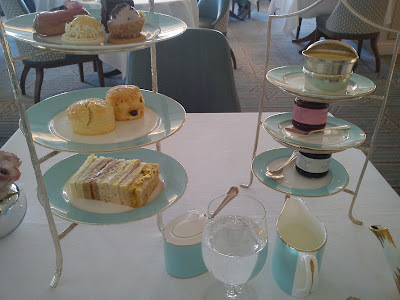 Along this course I also spend some days in London visiting various museums (Tate Britain, Tate Modern, Churchill War Rooms & Imperial War Museum), enjoying a classic afternoon tea at Fortnum & Mason and seeing The Mousetrap. Off cause I also found time and space in my suitcase for some shopping. I love gin, so besides from a bottle of gin (found in the airport) I also brought two books about gin. At a market I found myself a china tea cup, plate and serving serving in my favourite green colour in form of Aynsley from approx year 1900. 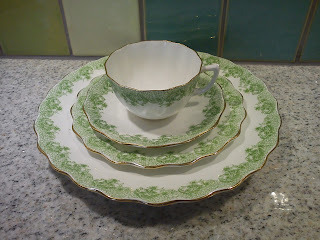 So I think, I will collect my own china tea set in form of various china pattern. At Fortnum & Mason I brought two types of Turkish delight (rose as one option and cherry & blackberry as second option) together with some Lemon & Ginger tea bags. I also found a book about afternoon tea at Ritz London. 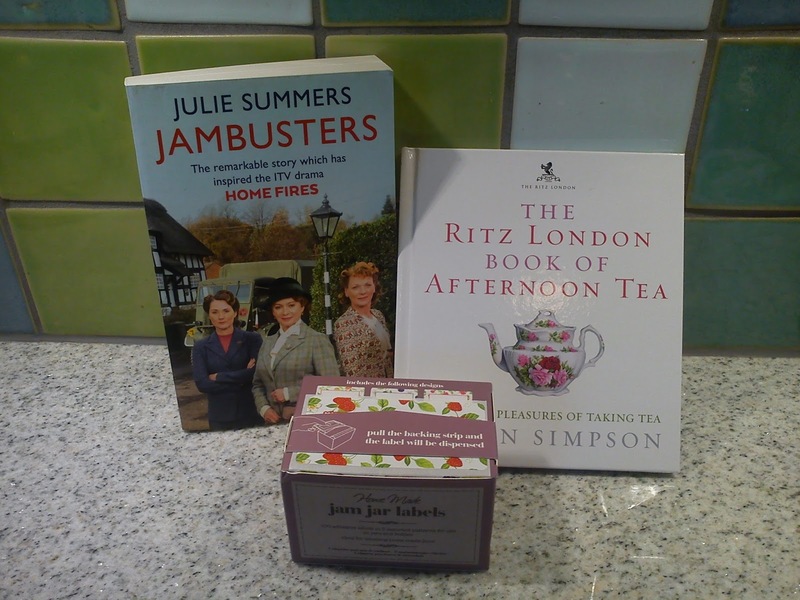 And at Denham I brought a book called the "Jambusters" and some labels for marking of home-made jam. So as usual I ended up with a very full suitcase on my travel back to Denmark. So I am glad, that I was flying business class, where I could bring 32 kg of luggage. 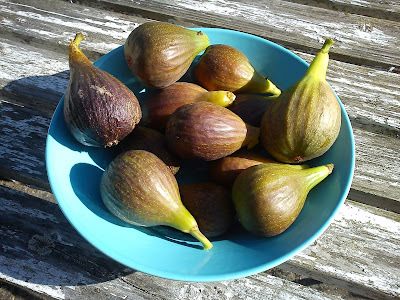 I have harvest my fig tree and saved the outcome for later use in form of fig jam with walnuts. 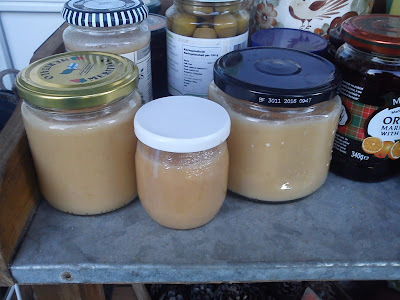 As starting point I have used this recipe on figenmarmelade with addition of walnuts and replacing the lemon juice with apple cider vinegar, as I did not have any fresh lemons in my little kitchen. Next time I will be making the jam in a different way, so I can work with pectin as gelling agent, as this jam is quiet liquid. Add water, sugar, vanilla pod and vanilla corn into a cooking pot. Heat it up until the sugar is dissolved. Add the fig pieces, and let the jam boil gently for 15 minutes. As I found the fig pieces to be to big, I decided to blend the fig jam. Taste the jam, decide is you would like more sweetness or acidity in the final jam. Adjustments are done using either vinegar and/or sugar. Saturday my mother and I made a one-day trip to the island of Samsø using the factor, that the ferry tickets to and from the Danish islands have been reduced since mid August. 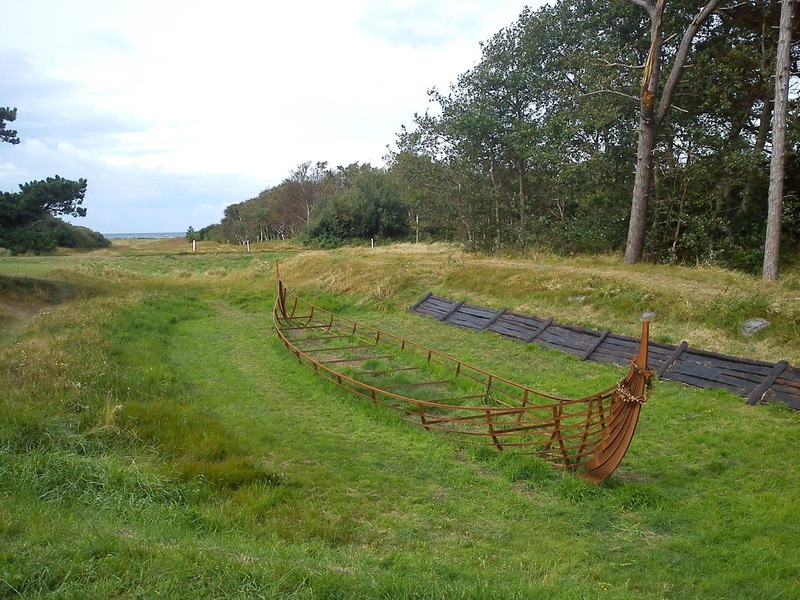 My mother has never been to Samsø, she has only been passing by the habour of Kolby Kås as a child sailing from Jutland to Sealand during the second world war. 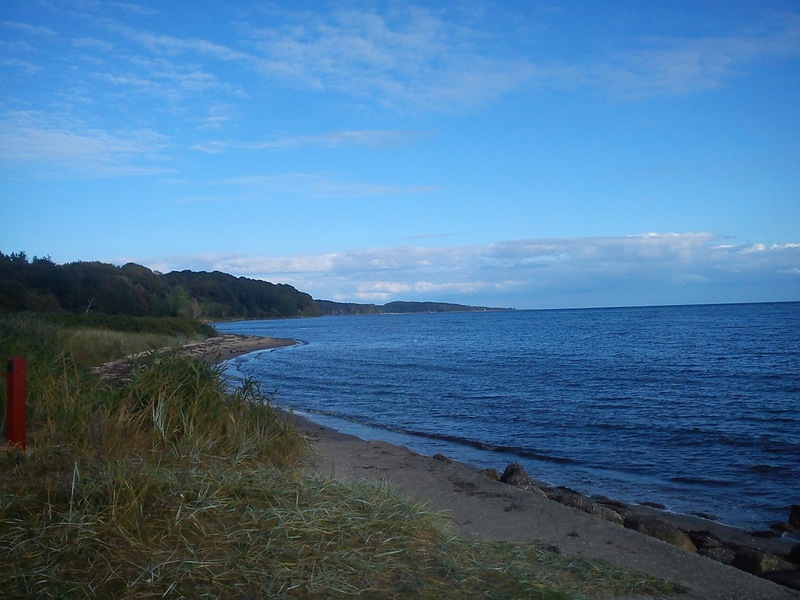 So now she has seen the island of Samsø from the inside as well. 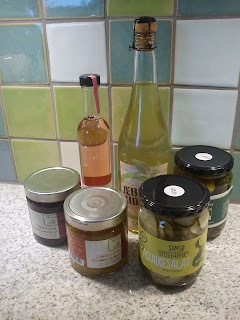 Besides from spending money on eating we did also bring back from local food of Samsø sush as apple cider, raspberry salad syrup, pickled red beet, picked pumpkin, pickled cucumber and pickled gherkin. 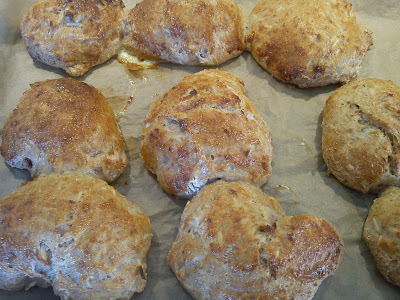 I better make a good start of my September theme of apple, so therefore I have been creating these scones with apple and walnut inside using the scone recipe, which I got during my recent afternoon tea course at Women Institute of Denham. 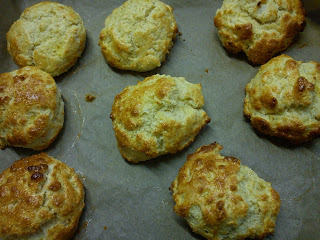 I will later share this classic scone recipe with you as well as tell you more about the actual afternoon tea course. We have now left Summer and have moved to the very first month of Autumn. Here in September you can enjoy apples with different taste, shape, colour and texture either in your own garden, if you are the lucky owner of one or more apple trees. I have two apples tress in my small garden giving me a total of three different apples (Ingrid Marie, Philippa and unknown sort). Therefore the theme for things going on in my kitchen will be apple. 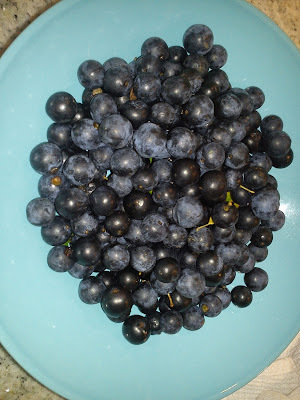 In August the theme of my kitchen was jams, where I created 3 recipes (blueberry jam with vanilla, blackberry jam & cordial and plum - tomato chutney).